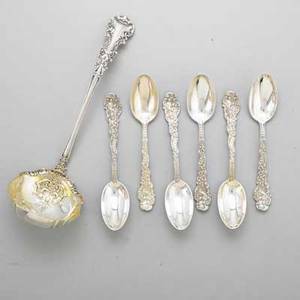 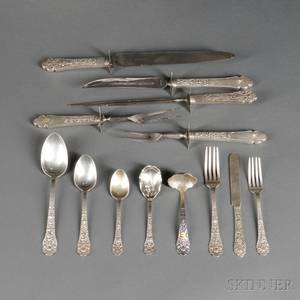 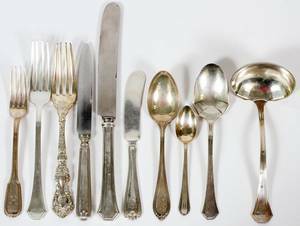 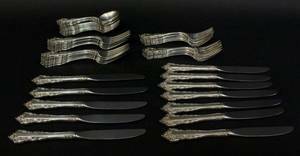 48 piece Gorham sterling silver flatware set in "Medici" pattern comprising twelve salad forks, twelve luncheon forks, twelve spoons, and twelve knives. 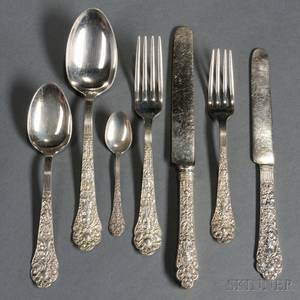 All pieces except knives marked "GORHAM STERLING". 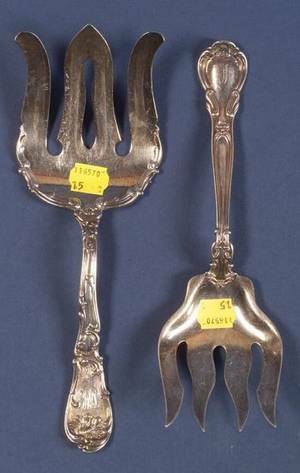 Length of luncheon fork 7.5". 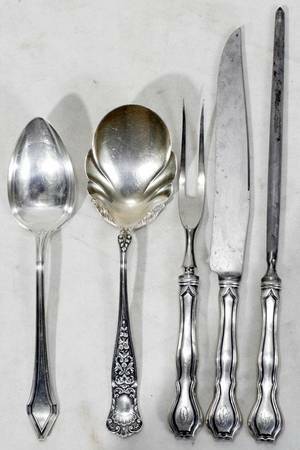 Length of salad fork 6.7". 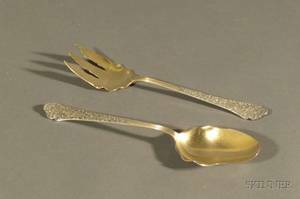 Length of spoon 5.9". 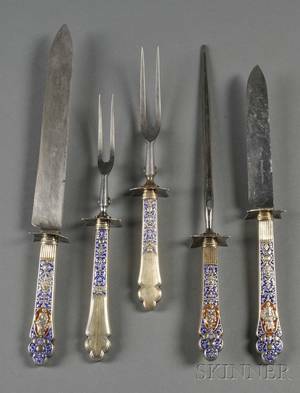 Length of knife 9.2". 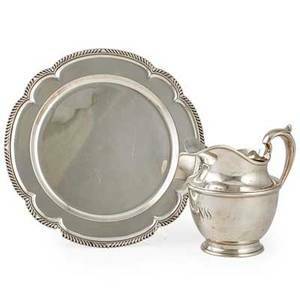 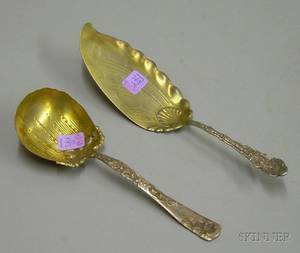 Gorham sterling holloware; two pieces: ; helmet form water pitcher #024, marked "gorham, sterling, 4 1/2 pint", 8 1/2"; salver with reeded and scalloped edge, marked "black, starr and frost, sterling"